Working with heavy sets of 3, 2, 1. 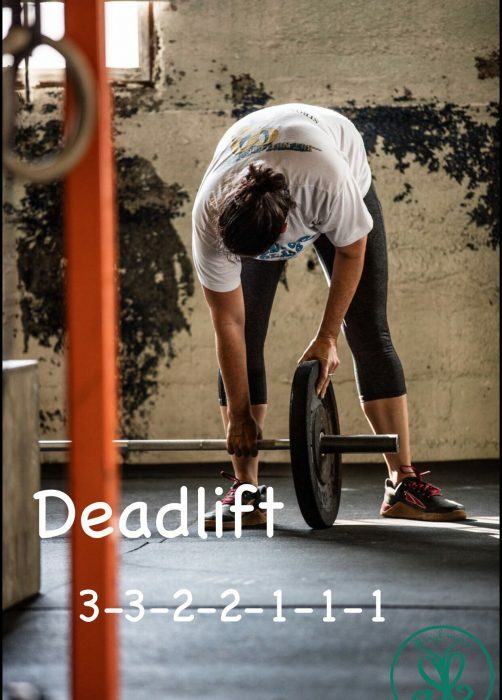 Use the warm up to get good and toasty before starting off with the barbell. I would suggest a bit larger sets to get going before working into those first sets of 3. We are going for added weight as we descend in reps without going to failure. Position is key so make sure you keep that back locked in.